Welcome to His Word In Wood! 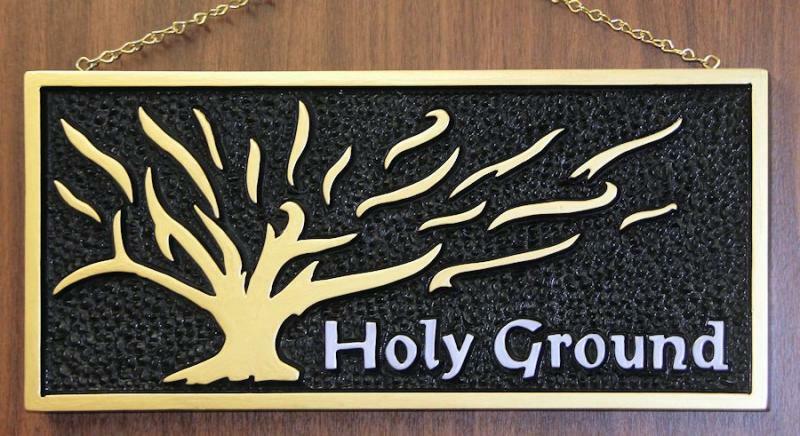 We specialize in hand carved and painted wood plaques based on the word of God to encourage and strenghten the body of Christ. In addition to being a unique gift, 100% of the profits from every sale goes to missions work. Click on the "Supported Ministries" menu to learn more about these wonderful ministries. We have carvings in English, Spanish, Hebrew, Dholuo﻿ and even Chinese! We always have some in stock that are ready to ship but you can order any design on this website and we'll make one for you. The fun part of "Made to Order" is that ﻿you can choose the size, colors and wood you want. Going on a missions trip? 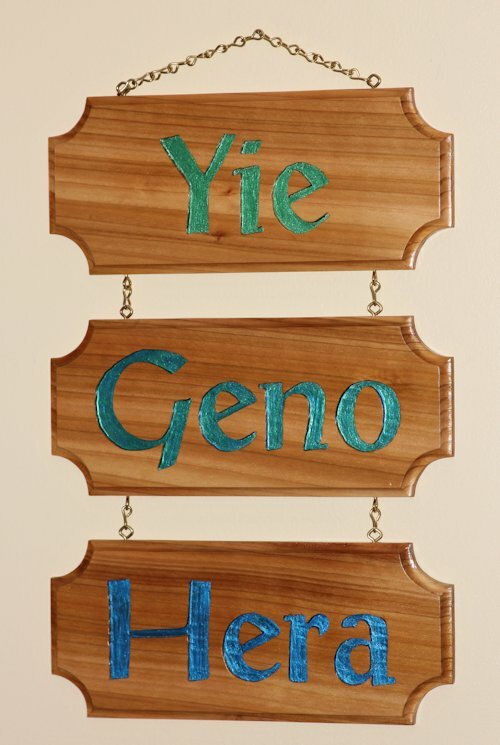 If you are going on a missions trip, a carving in your host's native language is a great gift that will encourage them long after you return home. 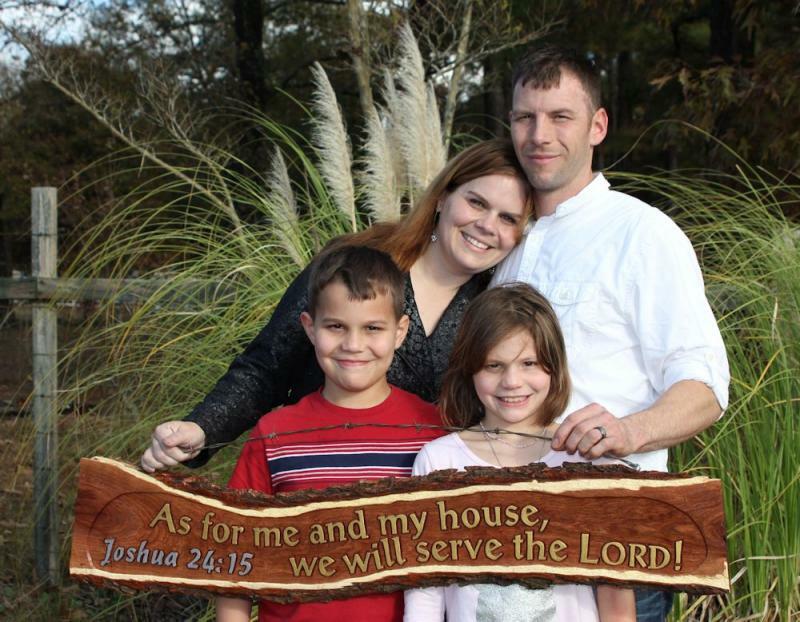 Take a look on our "Carvings for Missions" page. If you don't see exactly what you are looking for, send us an e-mail at Richard@HisWordInWood.com describing what you would like to have and we can probably make it in almost any language. Our time spent in language research and design for missions projects are free! You only pay for materials, actual tool time and shipping. The "Shofar Stands", "Folding Table" and "Woodworking" pages have unusual gift items built to last a lifetime. All items can be customized and personalized. If you don't see exactly what you want, send me an e-mail at Richard@HisWordInWood.com and I will work with you to design a one-of-a-kind creation. The "Arkanbox" shown below is an example of what can be created. Other special designs we have made can be seen in the "Custom Carvings" page. Many of our custom carvings feature natural wood with the bark still on it. The designs are carefully fitted to these unusual pieces of wood. In most cases, design work is free. Our website is not smart enough to calculate actual shipping costs and tax when needed so the "Buy Now" prices tend to be higher. To get the lowest price on shipping look for the "Best Price" link at the bottom of the item's description. We will calculate the best possible price based on your location, add tax if required, apply discounts for multiple items and send you a PayPal Invoice via email. You can then pay via PayPal or credit card. We welcome your questions and queries and we answer all email as quickly as possible.